Bob Fox is a founding and Former Managing Partner at Eldredge, Fox and Porretti, one of the major predecessor firms of EFPR Group, LLP. Since transitioning from his responsibilities as founding and managing partner, Bob has taken on an active business development and client service role in the government and small business departments of EFPR Solutions, LLP, the outsourcing and business consulting arm of EFPR Group, LLP. 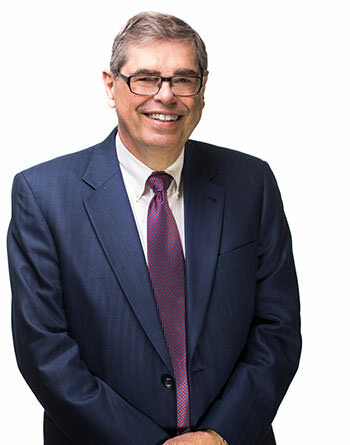 Throughout his career, Bob has had extensive involvement with local governments and small businesses, providing consultative accounting and general business guidance and advice to his clients. His service as budget director of both the Towns of Greece and Clarkson has provided Bob an in-depth understanding of the budget process and filing requirements for government finance directors. Additionally, he has served as a consultant on potential community and special district consolidations, joint ventures, and cost savings reviews. Bob has maintained lasting relationships with many of his clients as a result of his consummate and persistent approach to exceptional client service.